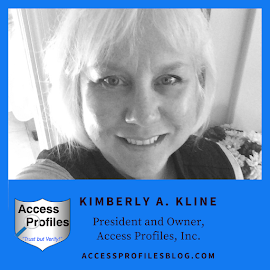 Access Profiles, Inc.: The Truth Behind “Ban the Box”! “Ban the Box” has become a movement throughout our country. At its most basic, “Ban the Box” means removing the “box” on any application that asks whether the person has a prior criminal history. In removing this box, it is believed that the possibility of immediate discrimination towards those with a past criminal record would be eliminated. It is also thought that by banning this box that the “disparate discrimination” against minorities will be lessened. Many states have already passed legislation banning “the box” for all or segments of employers. There are also many states where such legislation is pending. However, this issue remains confusing for many. In this article, I will explore what you need to know about “Ban the Box” - What is It?, What Does it Mean for Employees?, and What Should Companies Do? “Ban the Box” legislation restricts an employer from asking about a candidate’s criminal history prior to or during the application process. It is only after making a conditional offer of employment that an employer would be permitted to consider the candidate’s criminal history. Employees should know whether it is legal for employers to ask about prior criminal history during the application process. If it is banned, then any direct or indirect question concerning past criminal records is not permitted (exceptions exist for certain positions where by law no one with a criminal history is able to be hired). However, after a conditional offer of employment has been made, a criminal background check is permissible. Applicants should also know that they have recourse if a criminal record is discovered. Consider All State and Federal laws concerning Employment Background Checks. Create a Written Policy concerning Criminal Records (What Positions require a criminal background check and What Offenses are crucial to the job duties and safety of the company). Provide On-going Training of all existing personnel involved in the hiring process. Remove the question concerning an applicant’s criminal history from the initial application. Review any advertisements or job board notices for language that discourages those with a criminal history from applying. It is also important for a company to clearly outline the procedure upon a conditional offer of employment. Explain to the applicant that a criminal background check will be conducted. Obtain a signed release from the applicant for the criminal background check. Provide the applicant with a written notice of what offenses found during their background check may disqualify them. Inform the applicant that they will have the opportunity to challenge, disprove, or mitigate any damaging information discovered during the background check. Consider only convictions within the past 7-10 years and pending prosecutions that are relevant to the position. Keep all information discovered on an applicant’s and employee's background check confidential. Despite these restrictions, it is still crucial for a company to be aware of their obligations to their existing employees and customers. They must ensure that their hires are safe. Hiring a good Background Check company is a great step in this direction. Qualified Background Check companies stay on top of all EEOC (Equal Employment Opportunity Commission) guidelines and state and federal laws. A professional Background Check company will also “go to the source” and check all criminal records found during the background check process with the courts. In this way the information provided is the most accurate available. 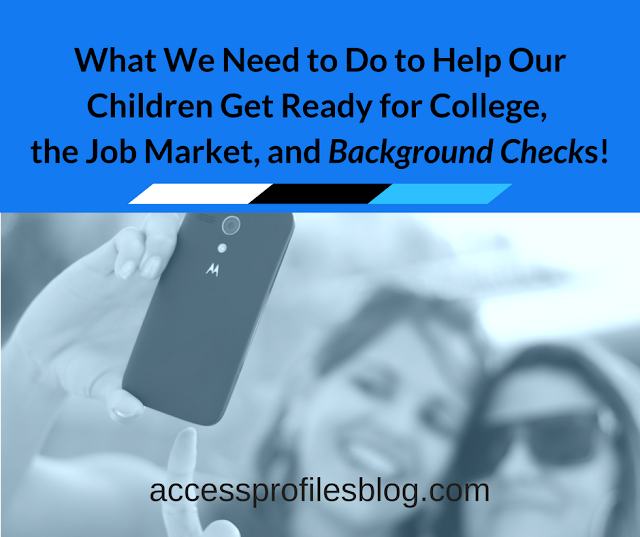 Read more tips on Hiring the Best Background Check Company in my earlier article here. “Ban the Box” does not have to give an advantage solely to the applicant. If done right, it also provides an employer with the ability to protect themselves while still allowing the opportunity for a “second chance”. "When it comes to privacy and accountability, people always demand the former for themselves and the latter for everyone else." 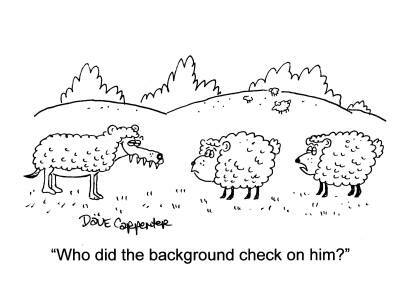 Visit my website for more information on Background Checks and find out how they can work for you! I also invite to connect with me by signing up for future blog articles here! Thanks!